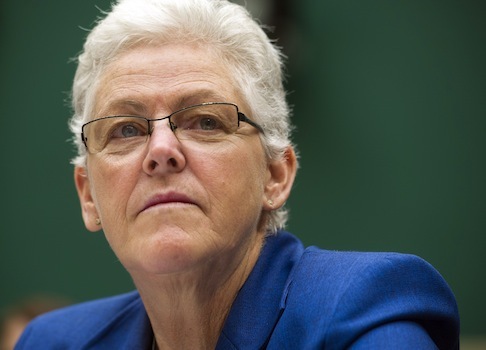 "Over the past 12 months, there have been several EPA officials who have taken action to prevent [the Office of Investigations] OI from conducting investigations or have attempted to obstruct investigations through intimidation," Elkins wrote. "We are starting to see proof of what we had already suspected: John Beale’s time and attendance fraud was the tip of the iceberg at the EPA," Vitter said in a statement to the Free Beacon. "The whole agency seems to be in complete disarray, which is exactly why we need to have a full [Environment and Public Works] Committee hearing on the fraud surrounding this case and other prevalent problems." In the public version of Elkin’s letter released Wednesday, the names of the EPA employees in question were redacted. However, the Free Beacon has obtained an unredacted version of the letter. The letter identified one of the alleged obstructionist employees as Steve Williams in the EPA’s Office of Homeland Security (OHS). "During the course of an OI administrative investigation, Mr. Williams approached an OI special agent in a threatening manner, preventing the special agent from conducting her official duties in an ongoing investigation involving Mr. Williams and other members of OHS," Elkins wrote. "Additionally, Mr. Williams issued non-disclosure agreements to EPA employees that prevented these employees from cooperating with [the Office of the Inspector General] OIG investigations." "The Federal Protective Service conducted a criminal investigation and referred its finding of facts to support an assault charge to the U.S. Attorney’s Office for the District of Columbia (USAO)," Elkins continued. "The USAO declined prosecution and referred the matter back to the EPA OIG for administrative action as necessary." Williams’ office originally attempted to investigate Beale’s fraud, a move the Inspector General said set their own investigation back by months. Elkins also identified Nancy Dunham in the EPA’s Office of General Counsel and John Martin at OHS as two other employees who impeded the Inspector General’s investigation. OIG agents interviewed Dunham during its criminal investigation of Beale, but she refused to be interviewed for an audit of the management issues that failed to prevent Beale’s fraud. "A potential gap in information exists due to Ms. Dunham’s noncompliance," Elkins wrote. Dunham told investigators that she learned about Beale’s pay issues in late 2012. However, Elkins wrote that his office "later developed information through other interviews which indicates that Ms. Dunham hay have been aware of Mr. Beale’s pay issues several months or even a year prior to what she told OI during her interview." According to Elkins, Martin left his interview early and later issued non-disclosure agreements to EPA employees. The EPA and the EPA OIG originally credited EPA Administrator Gina McCarthy with bringing Beale’s fraud to the attention of investigators after first becoming suspicious of him in April 2012. However, emails and reports released by the EPA in response to requests by Vitter revealed that McCarthy was aware of issues related to Beale’s pay as early as 2011. One February 2011 email obtained by Vitter’s office said: "Gina is reluctant to finalize [the cancellation of Beale’s bonuses] unless OARM Craig gives her the okay that the White House is aware and there will not be any political fallout." Elkins said the Inspector General did not investigate White House involvement in the case.